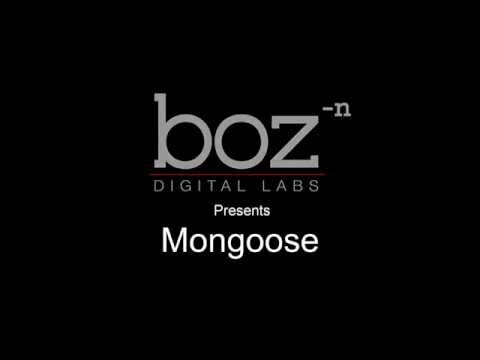 I am already using Mongoose in my projects!! Thanks for this simple but amazing tool. I even reopened an album that was “completed” and added mono (and now Mongoose) as-is onto the master buss…Wow, the mix got cleaner, more focused. With very little tweaking per song, I decided to submit new masters to my Mastering Engineer. THANKS for this plugin. The description says that this plug is effective right out of the box. The description is spot on! I have used this on the master bus of 3 mixes thus far. The default setting made the mix punchier and clearer right off the bat. Subtle is boring is Boz Digital Lab’s motto. The width function is this personified. Moving my latest mix from a static 1.00 to 1.06 made a noticeable (and very nice!) difference. It is a staple to master bus during a mix from now! I agree dan just bought this myself and I love the wdith function you can really bring out the stereo ina track and it really tightens up th ebass and gives a nice clean punchy balanced mix great job boz I will enjoy this plug for years to come. Wow, I’m impressed on how much this plug-in really cleans up the mix and tightens up the bass. I’ve used stereo width tools and M/S processing before but this plug-in really does something to the mix that I wasn’t expecting, in a very good way. The stereo width is amazing and the clarity of the instruments are very noticeable. I just tried it on 3 of my mixes and with very little effort it made a significant imprvoement This plug-in will be on everyone of my mixes going forward. Keep up the great work Boz! This tool!…. THIS TOOL!… crazy, just wow-tastic! I….there is….you can….wow, wow wow – just wow. Monogoose is the only plugin loaded with my Ableton Live project. I strongly recommend to invest the 25$ for this tool! Big respect to the BOZ-Bros for this! Very useful tool, great value for the price. I really can’t imagine not having this on the mixbus now. Probably the best $25 you could spend to really breathe life into your mixes. Tightens up the low end incredibly well. You can blend it in just a little to open things up, make the Kick and Bass lock in the middle and give your instruments some air, or you can really open it up wide and give every sound the whole countryside to roam in! Works well on drum sub mix or stereo pads, keys etc too. Used it on a brass track and vocals to good effect. Been using it on guitar bus as well to either beef up the bottom end, or tame some of the mud. Can’t praise this thing enough. There isn’t any other plug in that can do all this so easily and so effectively for such a small price. Love it! I was like “ehh, should I buy that?” for months. When I caved on the Imperial delay intro price, I figured hell, I’ll just drop the 25 bucks and throw this in as well. Honestly, all I expected was a bit more clarity, but what I got was a huge boost to perceived loudness, clarity, and the whole thing was a million times tighter. Forget multing stuff out! Just throw a mongoose on there. Seriously though… blown away. Great and simple plugin, does what it says on the tin with the minimum of effort. I actually had this for about a year or so but never got around to trying it out, how silly! It now lives in my template, will be using it everywhere! Love this one too, and sooooo tempted to keep it a secret… I’ve been A/B-ing and now realize that it is one of those plug-ins that’ll just stay instantiated all the time. Amazing plugin, cleans all of the mix. No muddiness, huge low end and clarity. Thank you Boz Digital family for this big plugin. The price is also unbelievable. Mongoose is just awesome. There are so many uses for it! I use it on many tracks, especially on some moving stereo synth tracks that definitely need to be stabilized due to their heavy bass content bouncing around all over the place. Mongoose will keep those low frequencies in the center where they belong, then you can eq the sides, widen them…..anything, and then the synth then becomes BIGGER and BETTER!!!!!! On a master bus the whole darn mix just jells….amazing plugin….worth every dime….they should charge more!!! Mongoose always sits on my mix bus before the limiter. Every mix. This plugin is absolutely insane. Had it for about an hour and already hear a huge difference in some old mixes. Bass is so much more focussed and tight and the width rotary for the higher frequencies works very well. Both functions together sound great! Something very simple but extremely effective. Price is very fair too! This is my first Boz plugin and i’ll definately be back for more! This plugin does exactly what it says. No deception or tricks on the demo video. My mixes really open up and I’m considering reopening some completed mixes to include it. It makes everything better-er! Oh yeah, thank you for the free stuff you have made available, it’s appreciated (and turned me into a customer)! “Mongoose” is, IMO absolutely essential to the mix bus of ANY track where centered bass location is preferred. I don’t do EDM, but I’d imagine focusing the bass center will open up all the nice left and right synths, percussion, etc. I LOVE Mongoose! highly recommended. Quick solution for instant tighter mixes.